9781412991377 | 3 pck har/ edition (Sage Pubns, May 24, 2010), cover price $85.95 | About this edition: The best-selling Statistics for People Who (Think They) Hate Statistics is now in its Fifth Edition. 9781412951494 | 3 edition (Sage Pubns, August 6, 2007), cover price $111.00 | About this edition: "This book is fantastic and accessible to students. 9780761927884 | 2 edition (Sage Pubns, December 1, 2003), cover price $97.95 | About this edition: This Second Edition of the bestselling text teaches an often intimidating and difficult subject in a way that is informative, personable, and clear. 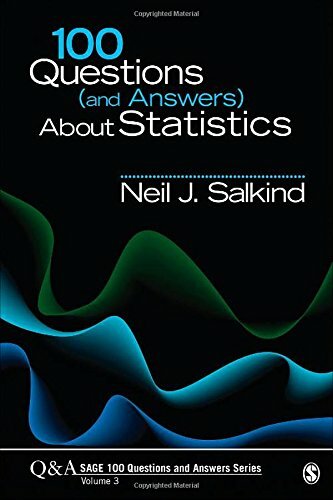 9780761916215 | Sage Pubns, June 1, 2000, cover price $87.95 | About this edition: Written for people who want to learn or brush-up on the basics of statistics but question their abilities, this book offers a step-by-step introduction to the topic. 9781483375861 | 5 pck pap/ edition (Sage Pubns, July 22, 2014), cover price $112.00 | About this edition: We offer these texts bundled together at a discount for your students. 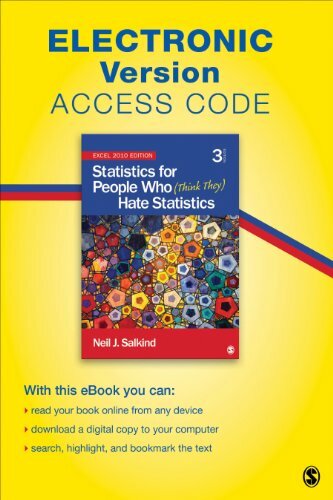 9781483351513 | 5 stg edition (Sage Pubns, April 3, 2014), cover price $37.00 | About this edition: The student Study Guide to accompany the bestselling Statistics for People Who (Think They) Hate Statistics, Fifth Edition helps students develop an understanding of an often intimidating and difficult subject with an approach that is informative, personable, and clear, taking students through various statistical procedures, beginning with descriptive statistics, correlation, and graphical representation of data, through inferential techniques, analysis of variance, and more. 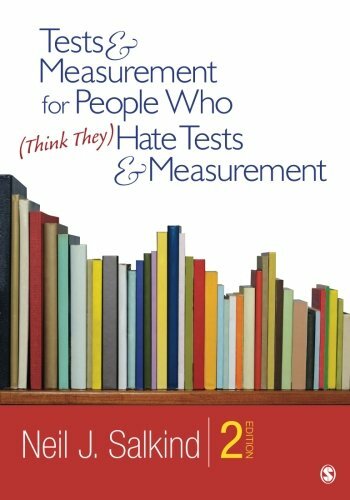 9781483344201 | 5 pck pap/ edition (Sage Pubns, December 4, 2013), cover price $89.00 | About this edition: The bestselling Statistics for People Who (Think They) Hate Statistics is now in its Fifth Edition and now also available in an Interactive eBook edition! 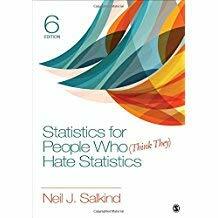 9781452277714 | 5th edition (Sage Pubns, November 13, 2013), cover price $89.00 | About this edition: The best-selling Statistics for People Who (Think They) Hate Statistics is now in its Fifth Edition. 9781452203324 | 4 pck pap/ edition (Sage Pubns, December 21, 2011), cover price $79.00 | About this edition: This bundle contains Neil J. 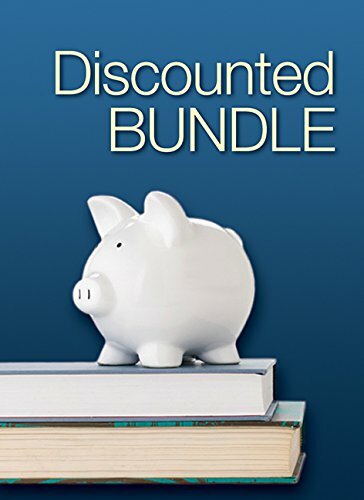 9780134238418 | 9 lslf edition (Prentice Hall, May 23, 2016), cover price $156.20 | About this edition: For courses in Experimental Methods and in Research Methods in Political Science and Sociology An informative and unintimidating look at the basics of research in the social and behavioral sciences Exploring Research makes research methods accessible for students – describing how to collect and analyze data, and providing thorough instruction on how to prepare and write a research proposal and manuscript. 9780205108770 | 8 lslf edition (Prentice Hall, July 17, 2011), cover price $118.67 | About this edition: Presents the basics of research in the social and behavioral sciences in an informative and student-friendly way. 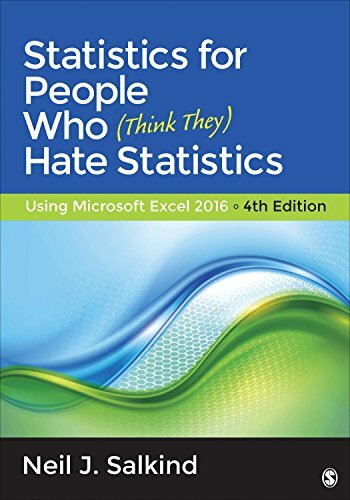 9781483374086 | 4th edition (Sage Pubns, March 4, 2016), cover price $73.00 | About this edition: Statistics for People Who (Think They) Hate Statistics: Using Microsoft Excel 2016, Fourth Edition presents an often intimidating and difficult subject in a way that is clear, informative, and personable. 9781506337333 | 5 pck pap/ edition (Sage Pubns, December 14, 2015), cover price $116.00 | About this edition: This bundle includes Salkind: Statistics for People Who (Think They) Hate Statistics 5e, Statistics for People Who (Think They) Hate Statistics Interactive eBook Student Version 5e, andÂ Study Guide to Accompany Neil J. 9780534535506, titled "Inter-Act With Infotrac: Interpersonal Communication Concepts, Skills, and Contexts" | 9th edition (Wadsworth Pub Co, June 1, 2000), cover price $56.95 | also contains Inter-Act With Infotrac: Interpersonal Communication Concepts, Skills, and Contexts | About this edition: Book by Kathleen S.
9781483374048 | 3 edition (Sage Pubns, July 15, 2015), cover price $27.00 | About this edition: Ideal for those already familiar with basic Excel features, this updated Third Edition of Neil J. 9781412979634 | Sage Pubns, July 14, 2010, cover price $26.00 | About this edition: Become a pro at using Excel for statistical analysis! Statistics for People Who (Think They) Hate Statistics + Interactive Ebook + IBM SPSS Statistics Base, Version 22.0. 9781483375830 | 5 pck pap/ edition (Sage Pubns, August 2, 2014), cover price $107.00 | About this edition: We offer these texts bundled together at a discount for your students. 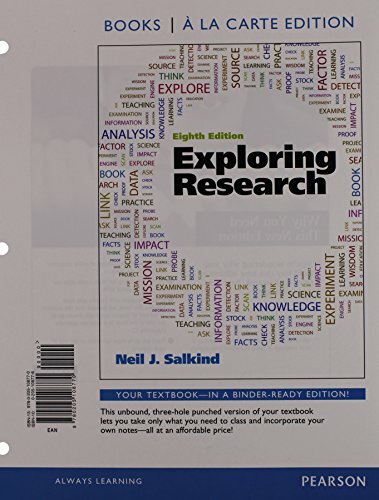 9781483375182 | 5 pck stg edition (Sage Pubns, June 2, 2014), cover price $94.00 | About this edition: This bundle includes Salkind: Statistics for People Who (Think They) Hate Statistics 5eÂ and Salkind: Study Guide to Accompany Neil J. 9781452283388 | Sage Pubns, April 30, 2014, cover price $27.00 | About this edition: In an increasingly data-driven world, it is more important than ever for students as well as professionals to better understand basic statistical concepts. 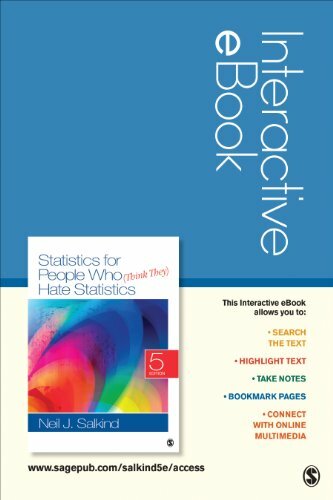 9781483303338 | 5 psc edition (Sage Pubns, December 3, 2013), cover price $53.00 | About this edition: The bestselling Statistics for People Who (Think They) Hate Statistics is now in its Fifth Edition and now also available in an interactive eBook edition! 9781483317984 | Pap/psc edition (Sage Pubns, April 8, 2014), cover price $94.00 | About this edition: We offer these texts bundled together at a discount for your students. 9781452277295 | 3 psc edition (Sage Pubns, November 28, 2012), cover price $63.00 | About this edition: The bestselling text Statistics for People Who (Think They) Hate Statistics is the basis for this completely adapted Excel 2010 version. The bestselling text Statistics for People Who (Think They) Hate Statistics is the basis for this completely adapted Excel 2010 version. 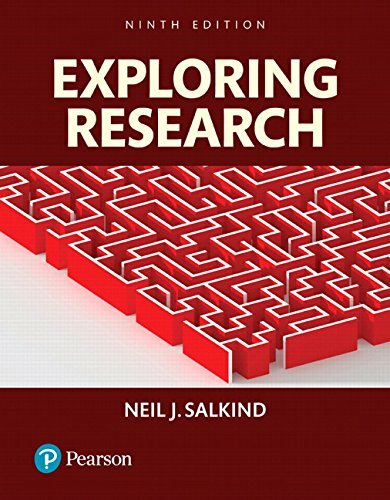 Author Neil J. Salkind presents an often intimidating and difficult subject in a way that is informative, personable, and clear. Researchers and students who find themselves uncomfortable with the analysis portion of their work will appreciate this book's unhurried pace and thorough, friendly presentation. Salkind begins the Excel version with a complete introduction to the software, and shows the students how to install the Excel Analysis ToolPak option (free) to earn access to a host of new and very useful analytical techniques. He then walks students through various statistical procedures, beginning with correlations and graphical representation of data and ending with inferential techniques and analysis of variance. Pedagogical features include sidebars offering additional technical information about the topic and set-off points that reinforce major themes. Finally, questions to chapter exercises, a complete glossary, and extensive Excel functionality are located at the back of the book. This Third Edition is updated for use with Excel 2010. 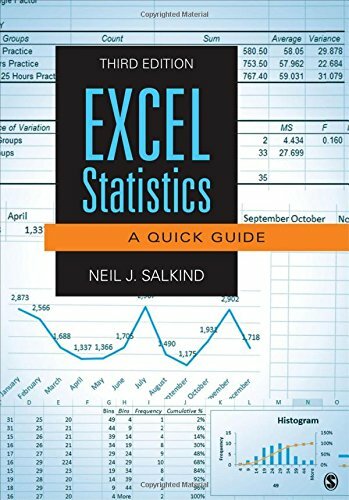 9781452225234 | 3 edition (Sage Pubns, July 23, 2012), cover price $89.00 | About this edition: The bestselling text Statistics for People Who (Think They) Hate Statistics is the basis for this completely adapted Excel 2010 version. 9781412913638 | Sage Pubns, September 28, 2005, cover price $129.00 | About this edition: In this text, author Neil J. 9781412989756 | 2 edition (Sage Pubns, January 17, 2012), cover price $87.00 | About this edition: Neil J. 9781412913645 | Sage Pubns, September 28, 2005, cover price $78.00 | About this edition: In this text, author Neil J. 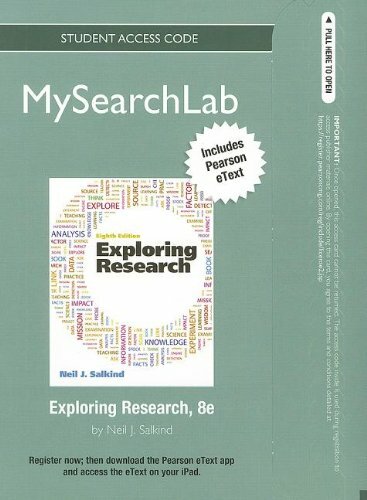 9780205225989, titled "Exploring Research MyPsychLab Includes Pearson Etext Passcode: New Mypsychlab With Pearson Etext Student Access Code Card" | 8 psc stu edition (Prentice Hall, September 28, 2011), cover price $67.33 | About this edition: ALERT: Before you purchase, check with your instructor or review your course syllabus to ensure that you select the correct ISBN. 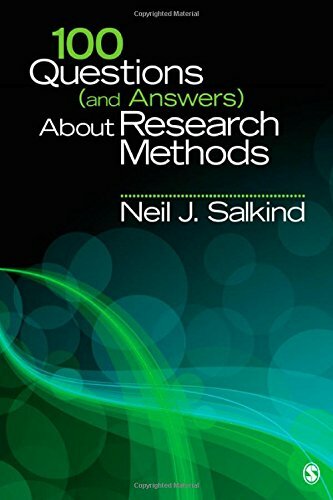 9781412992039 | Sage Pubns, June 7, 2011, cover price $27.00 | About this edition: How do I create a good research hypothesis? 9780205093816 | 8 edition (Prentice Hall, July 16, 2011), cover price $173.80 | About this edition: Presents the basics of research in the social and behavioral sciences in an informative and student-friendly way. 9780205114481 | Gardners Books, February 1, 2011, cover price $148.05 | About this edition: Presents the basics of research in the social and behavioral sciences in an informative and student-friendly way. 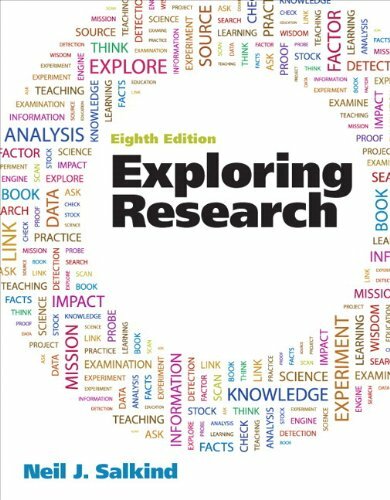 9780136011378 | 7 edition (Prentice Hall, February 1, 2008), cover price $120.33 | About this edition: The 7th edition of Exploring Research provides an introduction to research methods in a friendly, approachable writing style. 9780131972087 | 6 pck edition (Prentice Hall, May 13, 2005), cover price $121.47 | About this edition: This best-selling text focuses on presenting the basics of research in the social and behavioral sciences in an informative and personable manner.